VAC-TEC LLC. 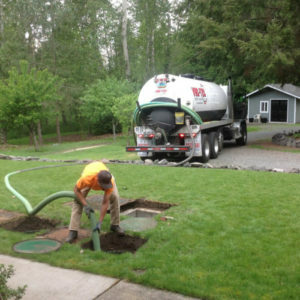 is one of the leading providers of emergency septic repair services in Federal Way, WA and the surrounding areas. Our technicians have the knowledge and experience to handle your emergency septic repair needs, 24 hours a day, seven days a week. When it comes to septic emergencies, timing is everything. With a prompt and professional response, we are ready to resolve your septic system problems, quickly and efficiently. We have the skills and technology to perform emergency septic repair without causing a major disruption to your property. Do not put your emergency septic repair needs in the hands of anyone. We are fully trained and equipped to handle all kinds of commercial, residential and municipal emergency septic repair needs in Federal Way. If your septic is overflowing or leaking, call us for emergency septic pumping & cleaning. We provide emergency septic pumping & cleaning service in Federal Way and the nearby areas. Call us any time of the day or night, and we will be there as soon as possible. We will thoroughly pump out your septic tank and dispose of the waste in a legal and responsible manner. We follow all environmental laws and regulations to process septic tank waste, ensuring no environmental risks. Need an emergency septic pumping & cleaning? We understand that emergencies happen, and our team is available 24/7 for those unexpected accidents that may occur with your septic tanks. 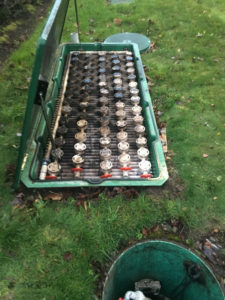 Our technicians are emergency septic pumping & cleaning experts; they are trained and experienced. We work hard to ensure your septic system is up and running in no time at all. 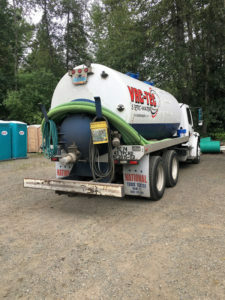 For more information on our emergency septic pumping & cleaning services in Federal Way, do not hesitate to call VAC-TEC LLC at (206) 339-0039. We are available 24/7.